Most kids are obsessed with slime, and since they also love putting things in their mouths, why not give them slime that they can eat? It’s a total win. 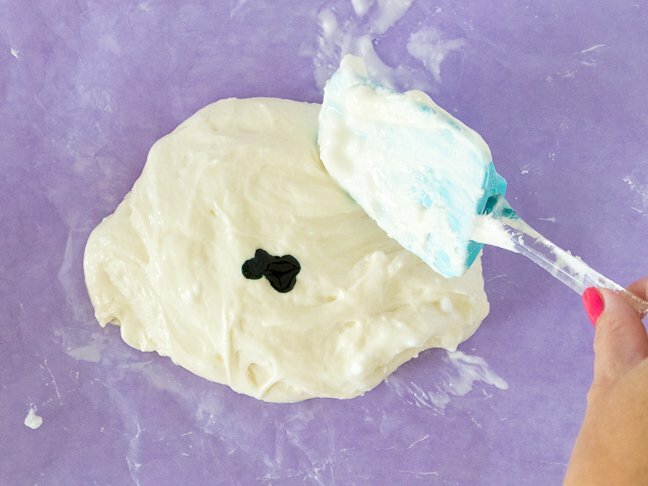 This edible marshmallow slime is fluffy, gooey, and lots of fun to mold. 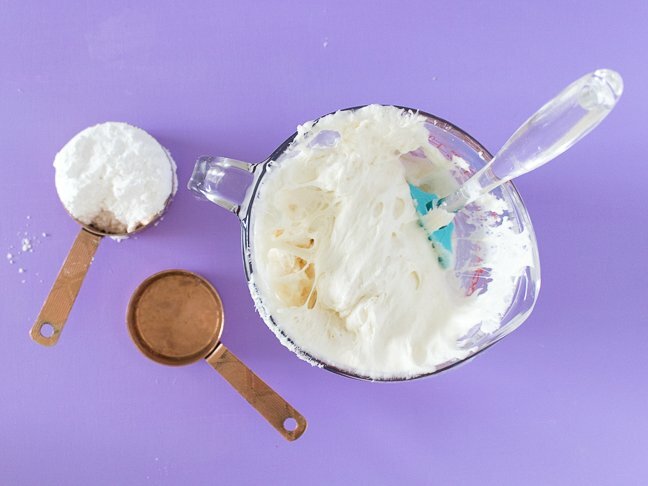 Make it with simple household ingredients and let kids choose a color to dye the dough. 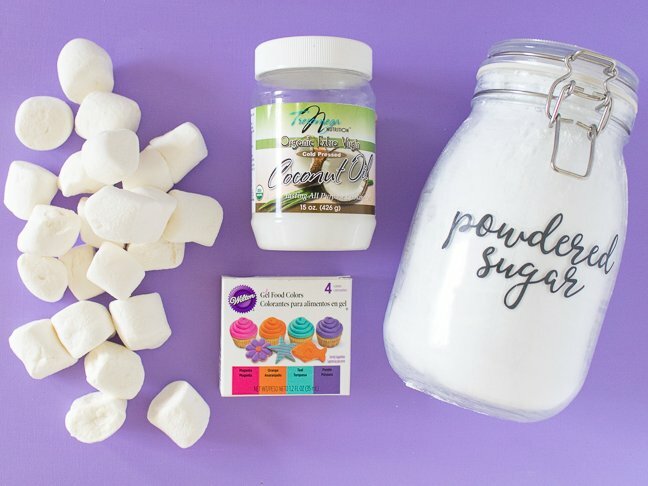 The marshmallows make it thick and puffy, the powdered sugar makes it moldable, and the oil keeps it from sticking to everything as you go. 1 bag of marshmallows, approx. 10 oz. 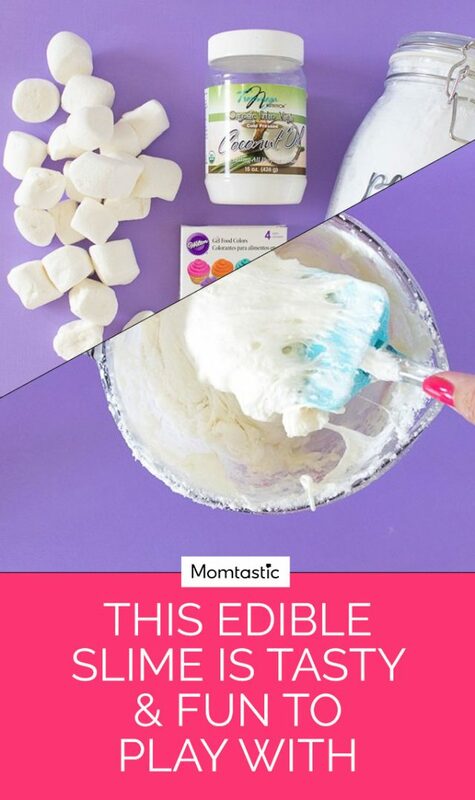 Step 1: Place all the marshmallows in a large microwave-safe bowl and microwave for 30 seconds. Check marshmallows and microwave for another 30 seconds until very puffy and melted. Set aside to cool for about 10 minutes. Step 2: Mix in the powdered sugar and coconut oil with a spatula. 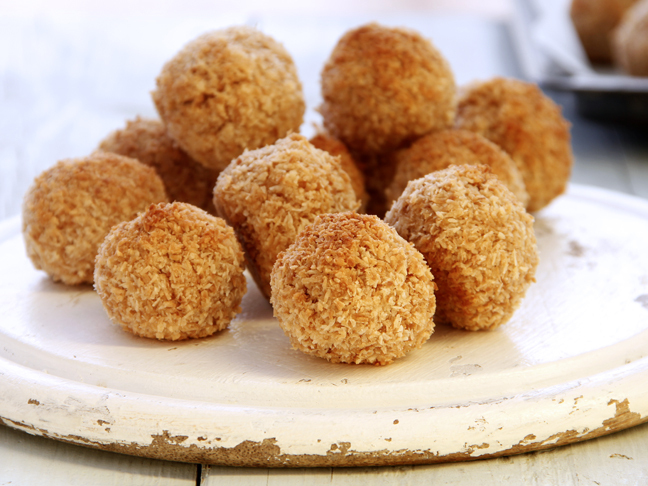 If it’s difficult to incorporate, use your hands instead (just be careful since the mixture may still be very warm). Step 3: Once mostly incorporated, add more oil as needed to reduce the stickiness of the slime. 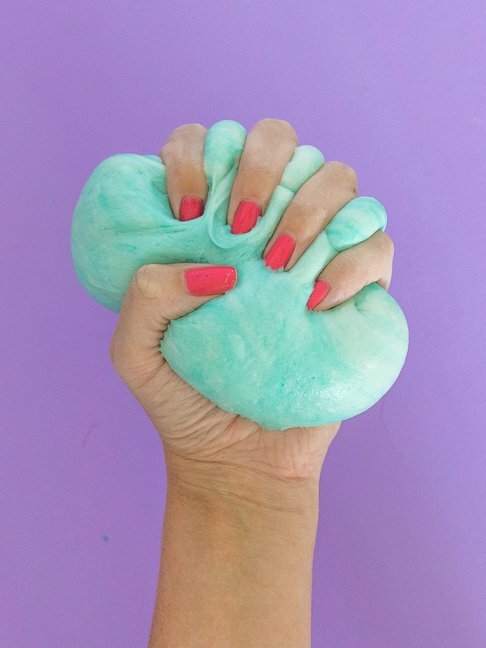 Knead with your hands as needed until easy to hold and mold. 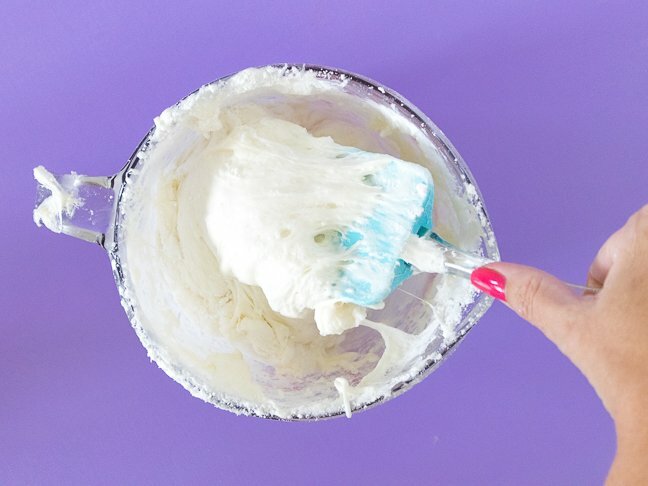 Step 4: If desired, add a small amount of food coloring and knead it into the dough either with a spatula on a covered surface or with your hands as long as they’re gloved. You can also add sprinkles if desired. Step 5: Now, it’s time to play! 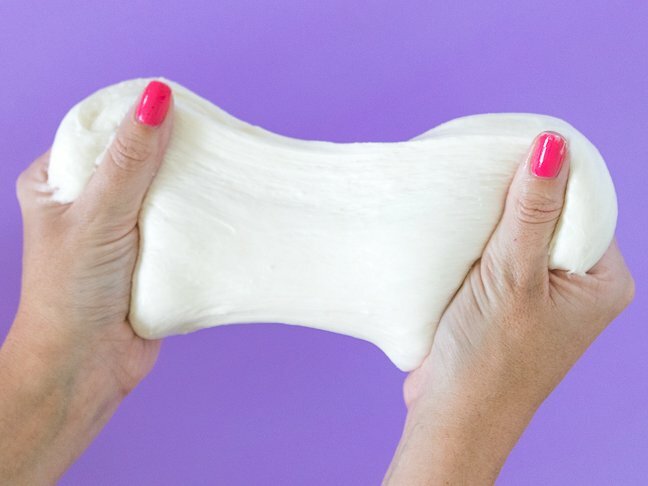 For best results, let kids play with the marshmallow slime on a covered surface (wax paper is great) as the dough can still be very sticky. If it becomes to hard to play with after a while, microwave in a bowl for about 10 seconds and knead back to normal.